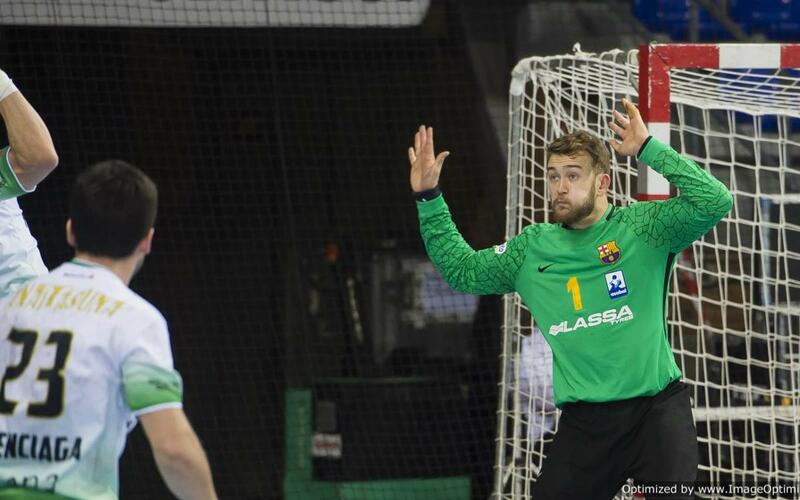 Barça Lassa won the final league game away from home (26-34), due in no small part to the heroics of Pérez de Vargas. The excellence of the Barça keeper allowed Syprzak (6 goals), Ariño (6) and Mem (4) to build the foundations for victory. Against Anaitasuna, de Vargas’ percentage of interventions didn’t fall below 40 percent, and at times, he even reached more than 50 percent. In attack, Syprzak and Mem, were on fire from the beginning. Barça Lassa were level at half time (14-14) but started the second half by scoring from all of their offensive actions. Ariño was able to counterattack at will, becoming the top scorer in the match and the one responsible for Barça Lassa going ahead by seven. As of that moment, the culés went into cruise control and eased home (26-34).